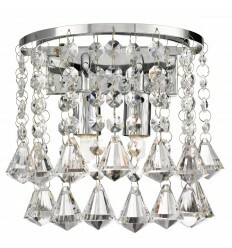 Dorchester 5 Light Chandelier - Hegarty Lighting Ltd. 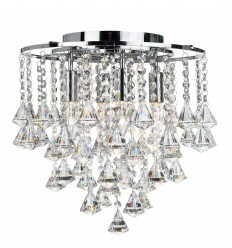 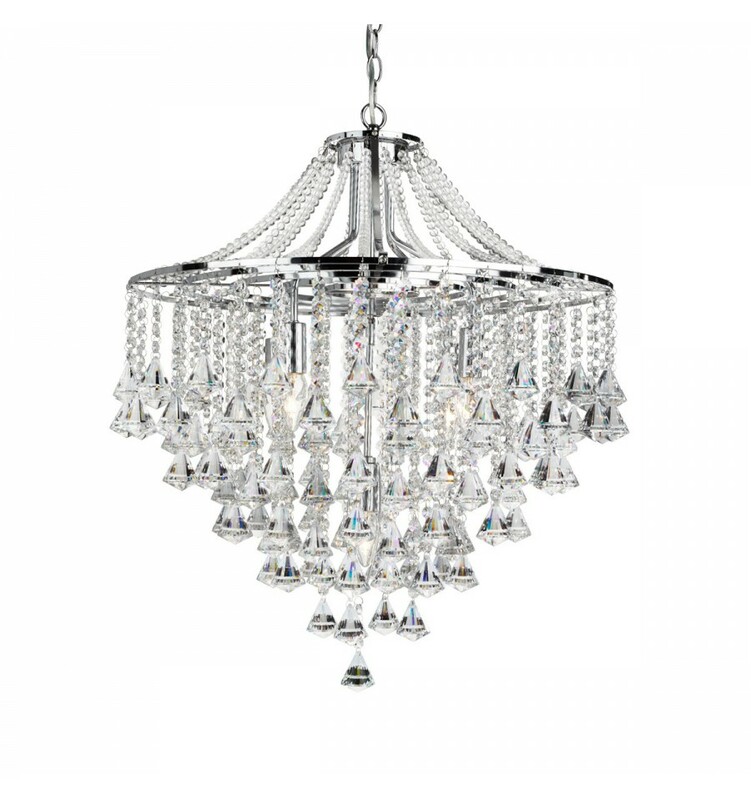 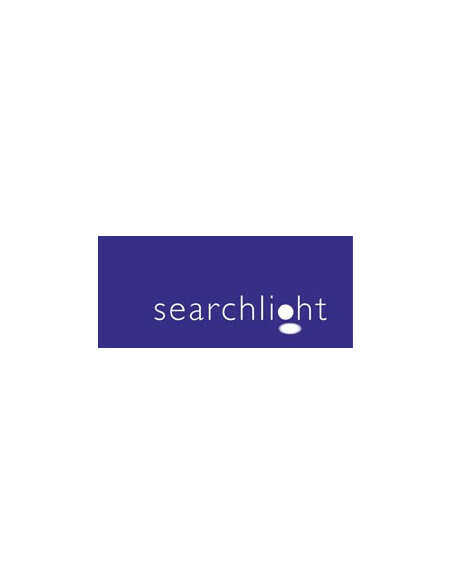 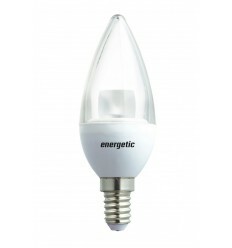 The five lights are adorned with chunky crystal buttons and drops which refract the light beautifully. 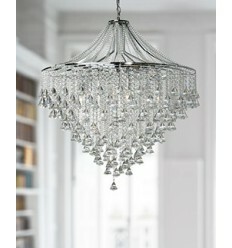 The elaborate fitting has cascading crystal beads from the top of the fitting to the main frame. 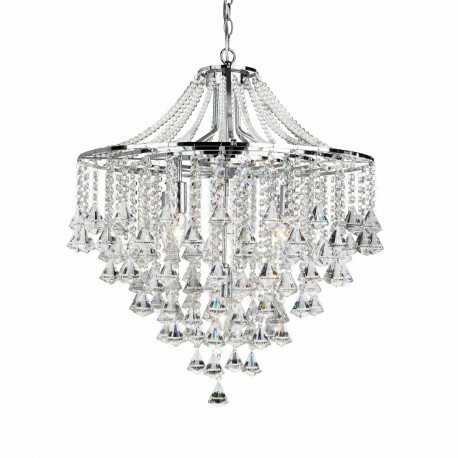 It makes a statement in any bedroom, living room or dining room.